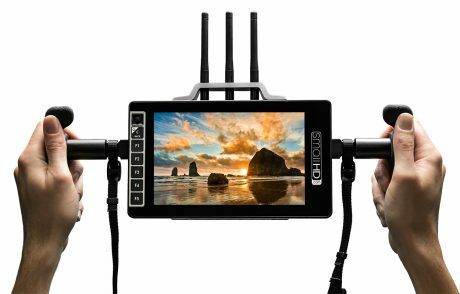 Small HD have worked with Teradek to provide a compact 7” ultra-bright HD unit which includes a built in Receiver that will pair to Teradek’s 3rd Generation Bolt receivers. Compatible with the Bolt 500, 1000 or 3000. This director bundle includes two adjustable handles and neck strap for easy hand-held use.